Welcome to 2020 Vision, the new Yahoo News column covering the presidential race. Reminder: There are 304 days until the Iowa caucuses, and 577 days until the 2020 presidential election. Sen. Elizabeth Warren, D-Mass., on Friday endorsed eliminating the legislative filibuster in the Senate if Democrats take the White House. Speaking at the Rev. Al Sharpton’s National Action Network conference in New York City, Warren framed the maneuver in a racial lens, pointing out that a bill to make lynching a federal crime took a century to pass the Senate because of filibusters by “a small group of racists” — and went on to discuss Senate Majority Leader Mitch McConnell’s tactics in bogging down nominations to federal positions by former President Barack Obama. With the legislative filibuster in place, legislation needs 60 votes to pass the Senate, while abolishing it would mean bills could pass with a simple majority. (Sixty-vote thresholds to confirm lower court and Supreme Court justices have been rolled back in recent years.) Supporters of the filibuster say it helps foster bipartisanship, while critics have said it’s simply a tool for enabling obstructionism. 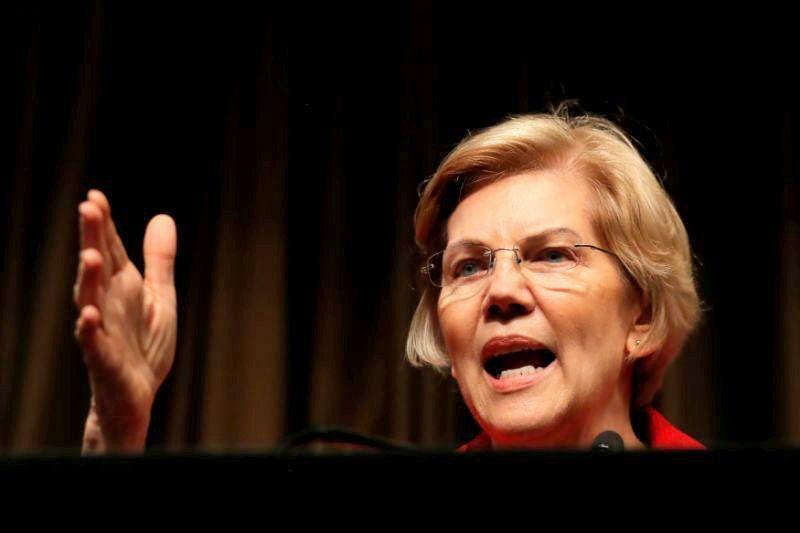 Warren is the first major candidate to call for its abolition — her fellow Sens. Bernie Sanders, Kamala Harris and Cory Booker have expressed skepticism at the idea — although Washington Gov. Jay Inslee, a dark horse in the race, called for its removal in February. Elizabeth Warren wasn’t the only 2020 candidate to appear at the NAN conference. In fact, 13 presidential hopefuls took the stage this week at Al Sharpton’s annual event. And each of them was pressed on a key issue that has emerged in this very early stage of the 2020 campaign: paying slavery reparations to African-Americans. One by one Sharpton asked the candidates whether they would pledge to sign a bill, proposed by Rep. Sheila Jackson Lee, D-Texas, to form a committee to study reparations if elected president. And they all did. “When I’m elected president, I will sign that bill,” Kamala Harris said, drawing loud cheers from the crowd. Even Bernie Sanders, who last month told a New York radio station that he was a “no” on reparations, said he would support the formation of a committee to study the issue. “Of course I would sign it,” Sanders said. 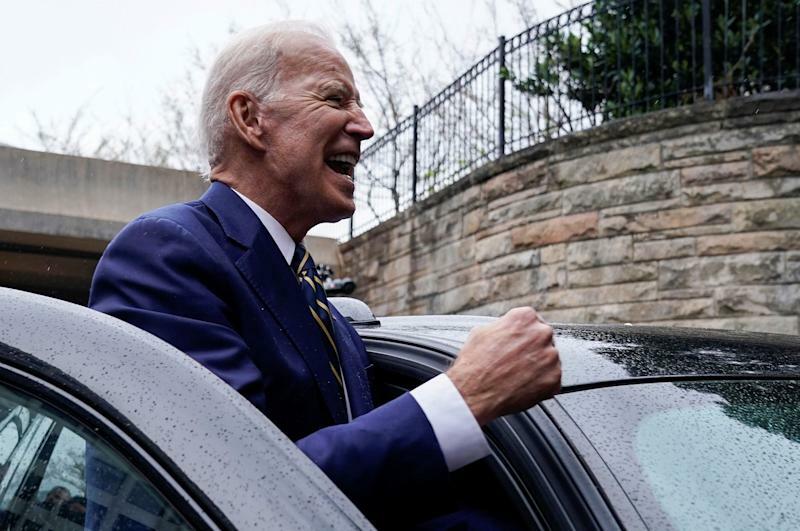 In his first public appearance since facing allegations from seven women who say he touched them in unwelcome ways, former Vice President Joe Biden hugged a union president — and made a joke about it. 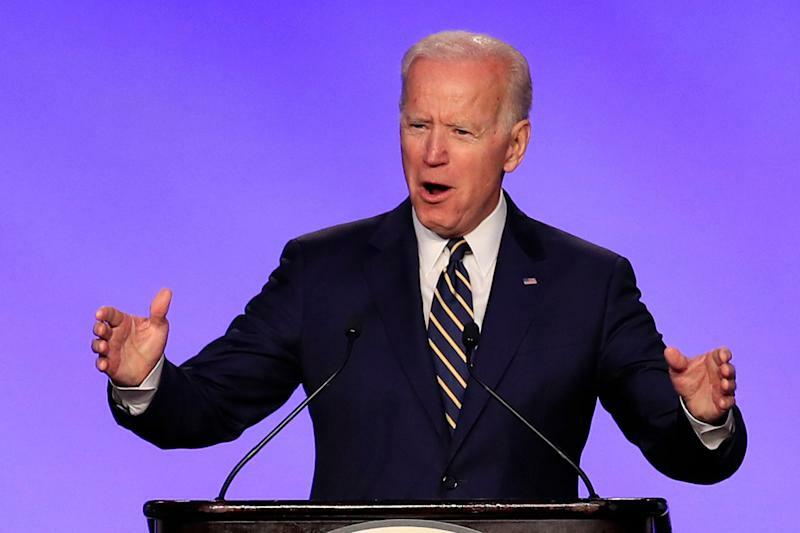 “I just want you to know, I had permission to hug Lonnie,” Biden said after being introduced by International Brotherhood of Electrical Workers president Lonnie Stephenson (a man) at the union’s annual conference in Washington, D.C, on Friday. Later Biden hugged a boy who was brought on stage to meet him. Speaking to reporters outside the conference following his speech, Biden addressed the allegations against him. “I literally think it is incumbent upon me, I think everybody else, to make sure that if you embrace someone, you touch someone, it is with their consent, regardless of your intentions,” he said. The 76-year-old said the complaints will change the way he campaigns. Next week, CNN is hosting back-to-back-to-back presidential town halls: Sen. Kirsten Gillibrand, D-N.Y., on Tuesday; Washington Gov. Jay Inslee on Wednesday; and former Housing and Urban Development Secretary Julian Castro on Thursday. All are scheduled to air at 10 p.m. ET. 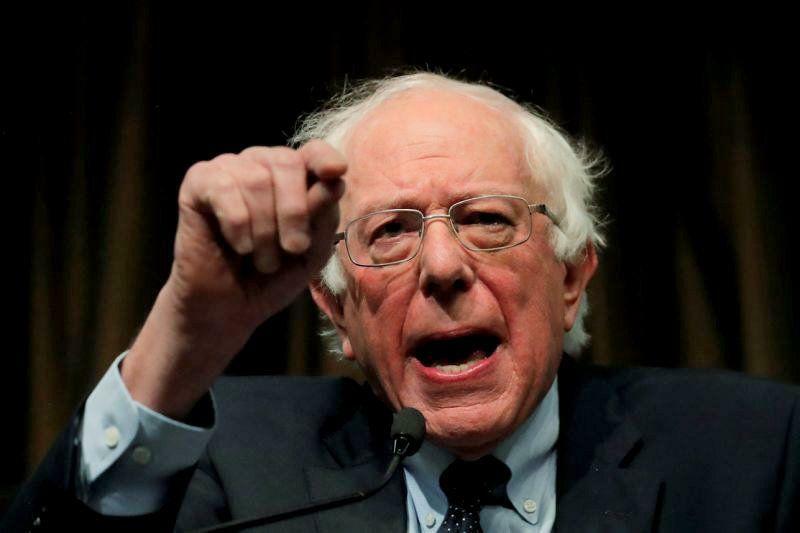 Speaking of town halls, Fox News stirred a bit of controversy this week, announcing that it will host a presidential town hall with democratic socialist Sen. Bernie Sanders, I-Vt., on April 15. Fox News’ Bret Baier and Martha MacCallum will moderate the one-hour event live from Bethlehem, Pa., beginning at 6:30 p.m. ET. “WTF is Bernie doing?” asked Ian Millhiser, a columnist with the liberal news site ThinkProgress. Well, for one thing, Bernie’s doing exactly what he did in 2016, when he appeared alongside Hillary Clinton at a Fox News town hall. And the Democratic National Committee, which announced that Fox will not host any of its 2020 debates, gave Bernie its blessing. 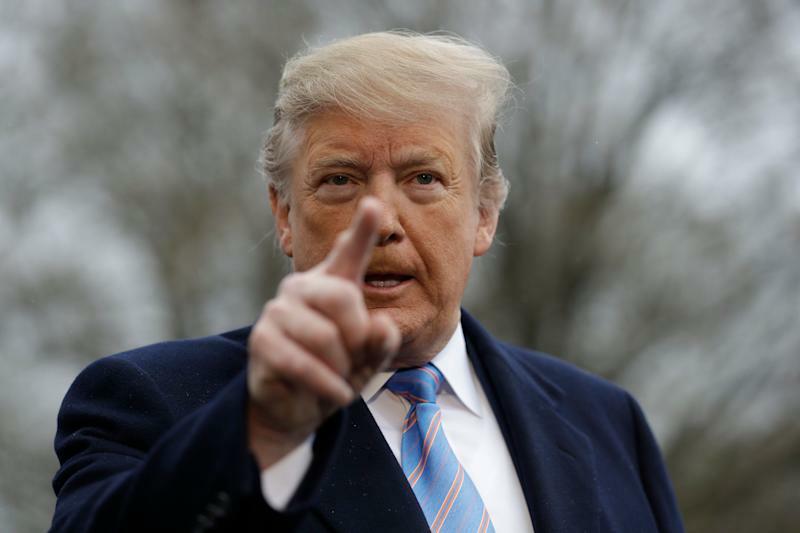 Hoping to solidify their positions as top-tier candidates in the eyes of voters, the Democratic presidential hopefuls began releasing first-quarter fundraising totals this week, ahead of an April 15 deadline set by the Federal Election Commission. The early numbers show that Bernie Sanders took in $18.2 million in donations in the first three months of the year, including $5.9 million in the first day after his announcement. 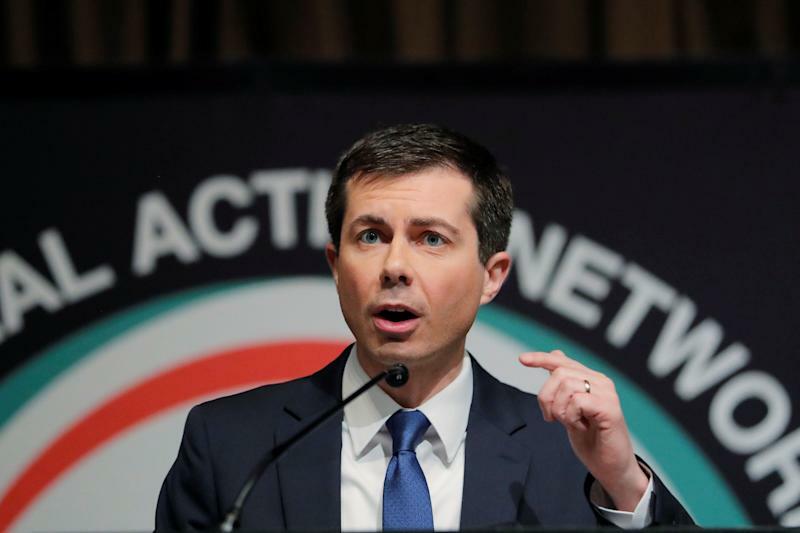 Kamala Harris raised $12 million for the quarter, and Pete Buttigieg, the Democratic mayor of South Bend, Ind., boasted just over $7 million in donations for his presidential bid. Rep. Tim Ryan, D-Ohio, announced his 2020 bid on ABC’s “The View” on Thursday. Rep. Eric Swalwell, D-Calif., is expected to do the same on “The Late Show with Stephen Colbert” on CBS next week. Former Virginia Gov. Terry McAuliffe is leaning toward jumping into 2020 race and is likely to declare next month, CNN reports. And Stacey Abrams, who narrowly lost her race for Georgia governor last year, is not ruling out a run for either the U.S. Senate — or the White House.